Over the past several years I’ve given many public talks on hypertension. In the beginning of each lecture I ask the audience, “What organ of the body is responsible for controlling the blood pressure?” The audience usually guesses the heart, the adrenal glands or the brain, and only very rarely will someone pick the right answer—the kidneys. The key to healthy blood pressure is healthy kidneys. If you have chronic hypertension and your primary care doctor wants to send you to a specialist, your next visit will be with a nephrologist, a kidney doctor. Moment to moment your kidneys are hard at work keeping your blood pressure in check by regulating the renin-angiotensin-aldosterone system. As blood flows to every part of our bodies, our blood pressure can affect every organ of the body. Even though this is a crucial part of our well-being, most of the time we don’t think about our blood pressure until something goes terribly wrong like a heart attack, stroke, or kidney failure. 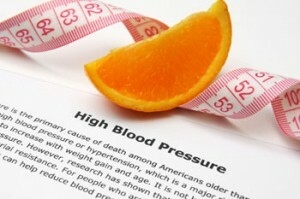 In this article I outline 10 steps that patients can do to maintain healthy blood pressure and kidney health.